Dr. Christopher Polage is a pathologist from Sacramento, California. He has been in practice for 17 years. Dr. Polage is a board-certified specialist in Anatomic pathology. He graduated in 2000 from the University of New Mexico School of Medicine. Afterwards, he did an internship at the University of Colorado and then completed a residency as well as a fellowship at the University of Utah. Dr. Polage is a is board-certified specialist in anatomic pathology and medical microbiology. He received various awards for his activity including the Physician Quality and Safety Honoree, the Associate Scientific Advisor, and the CHQI fellow. Dr. Christopher Polage is also an active researcher. Some of the topics he focused on are toxic Immunoassays and clostridium infection, microbiologic testing for meningitis and encephalitis, clostridium difficult infection in the molecular test era. 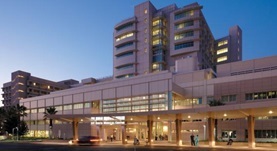 Dr. Polage is currently affiliated with the UC Davis Medical Center. Dr. Christopher Polage has contributed to 3 publications. Toxin Immunoassays and Clostridium difficile Infection-Reply. Polage, C. R.,Solnick, J. V.,Cohen, S. H.; JAMA Intern Med. 2016 Mar 09. State-of-the-Art Microbiologic Testing for Community-acquired Meningitis and Encephalitis. Polage, C. R.,Cohen, S. H.; J. Clin. Microbiol.. 2016 Feb 19. Overdiagnosis of Clostridium difficile Infection in the Molecular Test Era. Polage CR Gyorke CE Kennedy MA Leslie JL Chin DL Wang S Nguyen HH Huang B Tang YW Lee LW Kim K Taylor S Romano PS Panacek EA Goodell PB Solnick JV Cohe...; JAMA Intern Med. 2015 Sep 8 .